Halloween is around the corner, and as I scramble to gather this year’s costumes, I thought I’d share one of last year’s costumes! 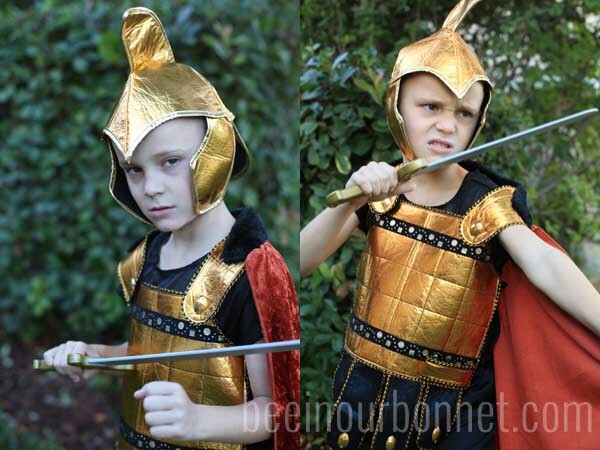 Now let me tell you that I love to make a costume for my kids, if I have time. But I don’t necessarily do it for every kid every year. Last year, I bought 1, made … and a halfish. And I feel good about it. One is all I had the time and the vision for. 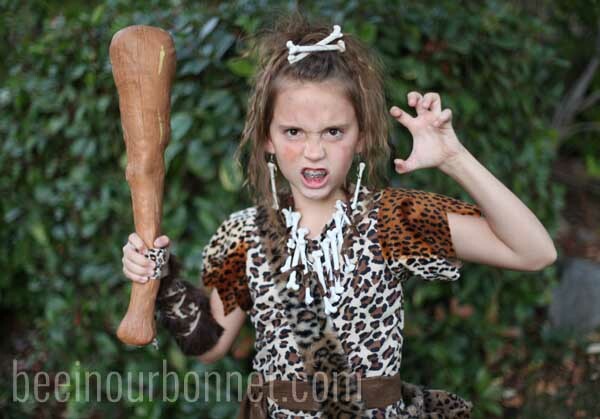 When this little middle child told me she wanted to be a cave woman, I knew that was something I could manage. I went to the fabric store and got some various animal prints, some fuzzy, some not. No pattern or goal in mind, guessed on the yardage. Yes, I’m that unorganized lately. 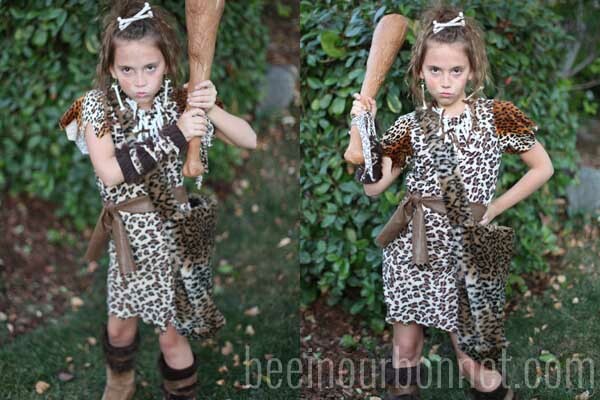 But the beauty of a cave woman costume is that torn, crooked edges are a.o.k! I basically made a lined bodice, then attached sleeves and a skirt. I cut the length of the sleeves and skirt while it was on her. I gave her a little sash, made a little fuzzy shoulder bag for candy and then accessorized with a pack of plastic bones from the party store. For the finishing touch, I put a piece of fur fabric inside her ugg boots, and tied some fabric around them to hold that piece of fabric there. I did the same thing around one wrist, because we had another scrap of that fabric. 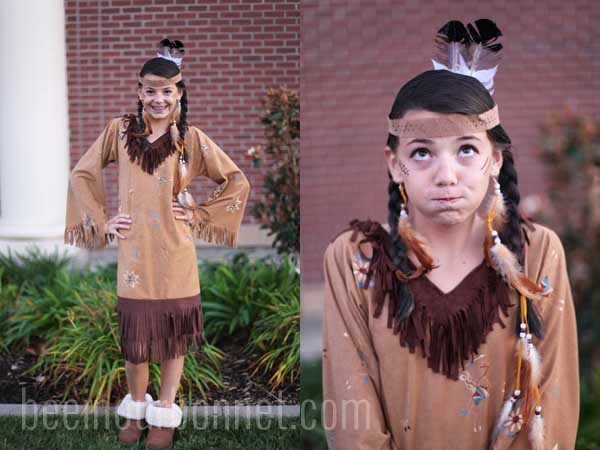 This girl right here LOVED her costume and LOVED the photo shoot where I told her to act the part! And this boy right here LOVED his Costco costume. All of his gladiator dreams came true. And yes, this baby came with the sword. Doesn’t get easier! 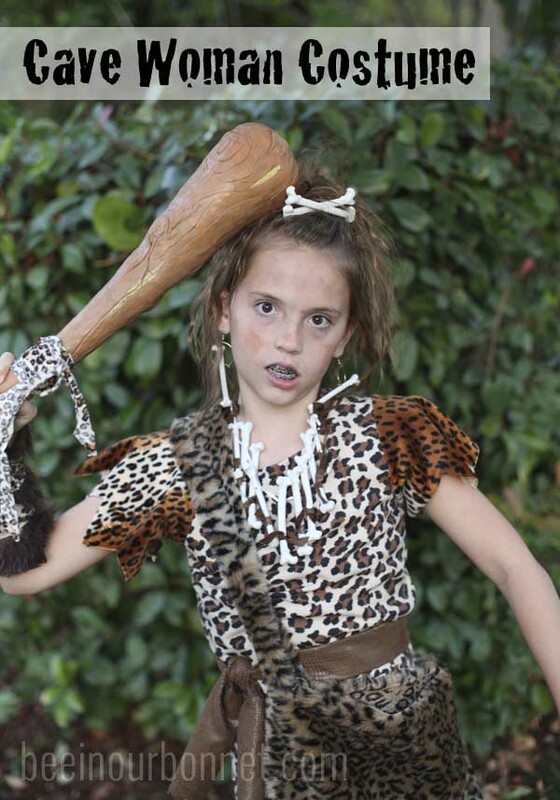 This girl didn’t trick or treat, but she couldn’t be caught not dressing up at a Halloween party. So this is the “half” costume I made. I modified my indian shirt I made for myself a few years ago. I took it in, and added fringe at the bottom. Done and done. The best part for her was going from blonde to brunette! Kinda fun! 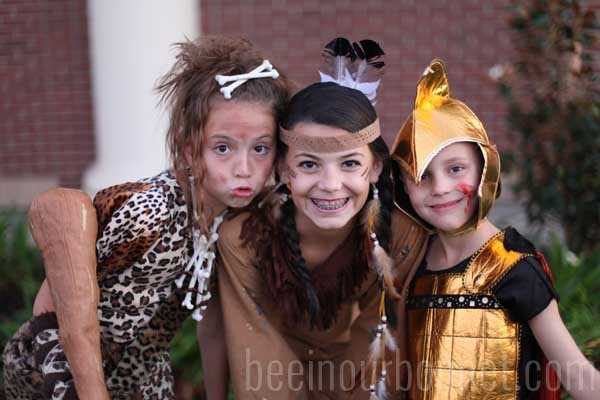 I still get a twinge of heartache that they don’t want to do a “theme” anymore, but I call it a success when they are all excited about what they are going to be! I’m hoping for the same success this year! Better get busy!